Off and on for nearly a quarter of the 20th Century, the peripatetic P.K. 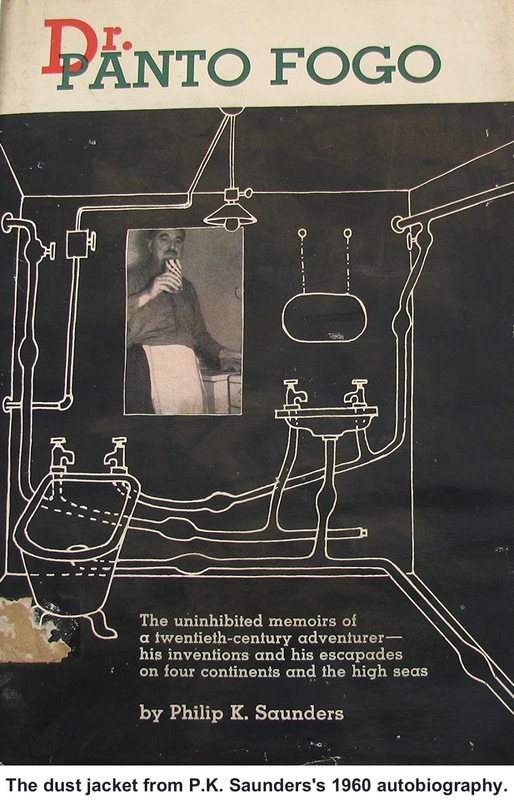 Saunders lived in Ridgefield, probably where he wrote his critically acclaimed autobiography. But he was always heading off to other parts of the world, often to his native England and sometimes for extended periods, such as when he created one of Jamaica’s top golf clubs. When he finally departed Ridgefield, the millionaire left behind a neighborhood served by a road bearing his name: Saunders Lane. One of the more unusual characters in Ridgefield’s past, Philip Keith “P.K.” Saunders was born in 1899 into an odd, but well-to-do British family. His father was a wealthy physician while his mother was an evangelical Christian who would move the family from town to town in order to find a local church suitable to her current needs. When he was only 15, he was sent to a Royal Navy training school and wound up serving in World War One as a British naval cadet and later engineer. During the war the teenage sailor nearly drowned when the dreadnaught he was serving aboard was sunk in the Dardanelles and he had to swim for hours in the night before being rescued. When he was 21, his family sent him to Brazil, where he worked as an engineer — one of his major projects was figuring out how to salvage hundreds of tons hides aboard a freighter that had run high and dry on a remote Brazilian beach. The wreck was far from civilization but close to native tribesmen, who would suddenly appear from the jungle to take their own share of the loot — Saunders and his crew put up no opposition, fearing the locals were headhunters. The region was so remote that a “hotel” he stayed at in a nearby village while working on the freighter was little more than a thatched roof with four open sides. In his autobiography, “Dr. Panto Fogo,” Saunders describes an unusual feature of the hotel. “The Hotel Mundo ... was infested with water rats from the nearby Carapata River, so instead of having a cat or a dog to keep the rats down, they had a tame anaconda, which was half grown and only 15 feet long,” he wrote. “Most of the time this pet lived in the rafters and you could wake up at night and hear a scuffle and a squeak as the rat went down. prettily, weaving her head and opening her mouth for titbits and she could catch better than an Australian cricketer, but the first time I met her it was quite a shock. “I had just arrived and was sitting at dinner, eating surprisingly delicious food. The only light was wax candles which flickered as the sea breeze blew through the room and a nice, gentle, big dog put his heavy flat head on my knee. So without looking down, I put my hand down to pat him on the head, only it was Ninha and the pretty little head was hard and stone cold. Around 1932 he moved to South Africa, where he became an engineering draftsman for a company manufacturing explosives for the Johannesburg and Kimberley mines. As an engineer Saunders was assigned the task of cutting the costly power losses due to faulty, leaking valves used to supply air and water in the underground mines. While working in the mines at Witwatersrand, he invented a specialized valve for controlling air flow. The “diaphragm valve” traced its origins back to the ancient Greeks and Romans, who used a similar device to control the water and temperature of the hot baths. 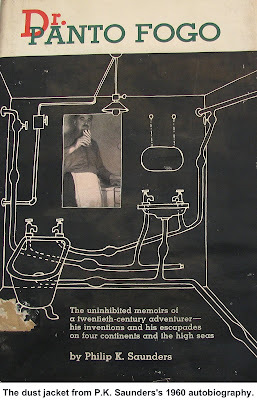 Saunders had studied classical history and archaeology as a hobby, and knew of the ancient valve. His first modern diaphragm valve made him a millionaire. 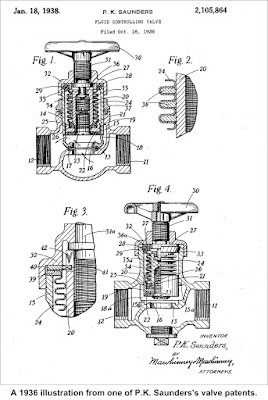 Many patents were filed in his name for this valve, and he founded Saunders Valve Company in London to market his work. Saunders diaphragm valves are still used today, particularly in sophisticated medical equipment. By 1943 Saunders was in New York City, working for the U.S. Navy, installing anti-submarine devices on merchant vessels. By 1948 Saunders had discovered Ridgefield and moved to a house on lower Main Street. At the time he was president of the Saunders Valve Company of America. In 1949 he bought the Starr estate, whose house is at the corner of Farmingville and Lounsbury Roads and whose land includes the site of today’s Farmingville School. Almost immediately, he began plans for the 14-lot Saunders Lane subdivision, which he called Quaker Ridge. Houses began being built there in 1950. Oddly enough, one of the builders in the 1960s was William Saunders of Brookfield, no relation to P.K. Dr. Panto Fogo is Anglo-Portuguese for “Dr. 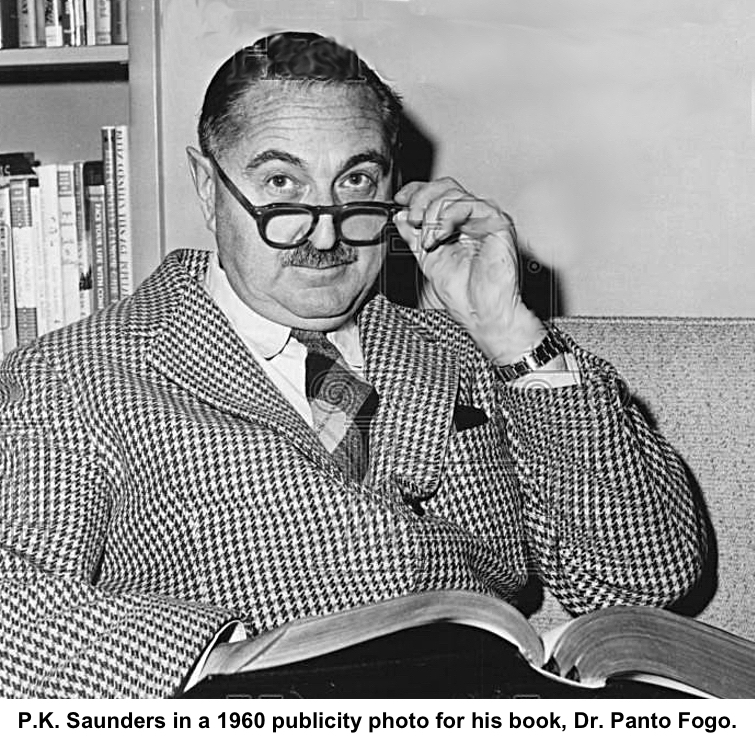 Pants-on-Fire,” a nickname friends gave Saunders after a rail trip through rural Brazil. He had ignored the friends’ warnings to keep his train compartment window closed and, as he napped, his trousers caught fire from a spark thrown out by the ancient wood-fired steam engine. While in Ridgefield, he continued to travel widely and, in 1950, to establish the Upton Country Club on the island of Jamaica. He maintained a home for himself and his daughter on Saunders Lane until 1974 by which time he was living in Manteo, N.C. He died there in 1997 at the age of 98. In an odd coincidence, the critic who reviewed Saunders’s book in 1960 for The Saturday Review was Quentin Reynolds, a journalist who had been a noted war correspondent in World War II. Reynolds later became even more famous for his libel suit against conservative syndicated columnist Westbrook Pegler — a Ridgefield resident — who had called him “yellow” and an “absentee war correspondent.” Represented by the well-known attorney Louis Nizer, Reynolds wound up winning $175,001 (more than $1.6 million in 2018 dollars) in the case — at the time it was the largest libel judgment ever handed down. The lawsuit later inspired a Broadway play, “A Case of Libel,” and two TV movies.